Adult programs develop the mind and body through discipline, self-defense, and internal strength. Classes offered include Kung Fu, Tai Chi, Qi Gong, and TACT/DART Self-Defense. Click here for class schedule. Hung Fist style Kung Fu involves the elements and characteristics of natural creatures: the animals. Development of the mind can be achieved only when the body has been disciplined. Yong Chun which was developed for close quarters combat, utilizes both striking and grappling/trapping techniques to define its self defense theories. 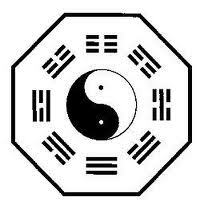 Chen Style Tai Chi is considered to be the source of all other Tai Chi styles, such as Yang, Wu, Sun, and Wu(Hao). Qi Gong – internal strength training, also known as Nei Gong, has been practiced by the Chinese for over three thousand years.